I probably wouldn't believe it otherwise, but the pictures and video don't lie: Garrett McNamara set the record today for riding the biggest wave ever. 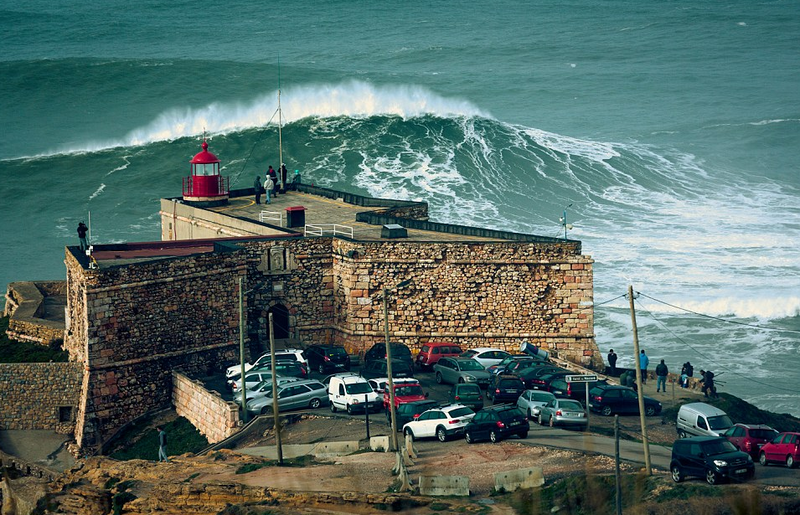 The ride went down in Nazare, Portugal and the wave was measured around 100 feet! 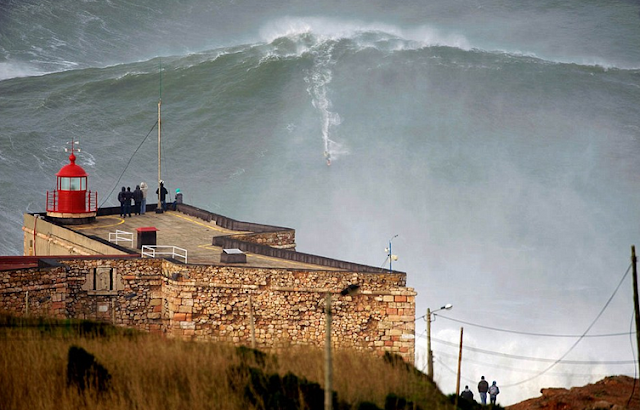 Unreal that he broke his own world record for the 78 foot wave he rode back in 2011 at...Nazare, Portugal! If you've watched any of the Winter X-Games, you've definitely heard about the games' biggest trick: the triple cork. 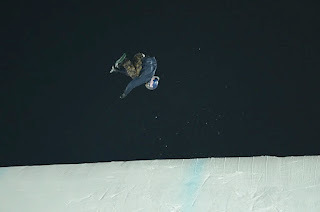 The triple cork has been the trick locking up gold for competitors in all kinds of events, including the skiing big air (nose butter triple cork 1620) and snowboard big air (switch backside triple cork 1440) competitions. 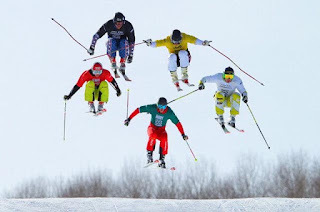 And to the announcers and competitors who mention the triple cork, it seems obvious that everyone knows exactly what it is. But we were having some trouble totally understanding the mechanics of the triple cork - it happens in about the blink of an eye. So we decided to break down the move for ourselves and for anyone else out there who wanted to know a little more about the triple cork. The challenge for judges is to determine which triple corks are better than others. X games judge Tom Zikas explained what the judges are looking for in triple corks. 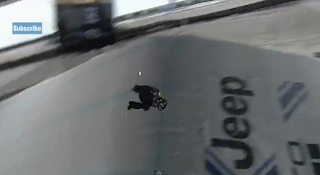 In the lead-up to Winter X-Games 2013, he said, "What we look at more is how inverted it actually is. Some people dip slightly and some people are way more corked, more inverted. That makes a difference to us. 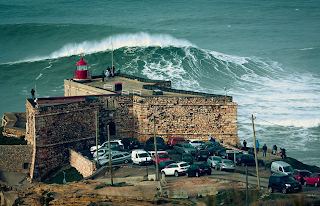 How big it is is a factor, how long you hold your grab, getting it clean and huge." The first cork happens the fastest and is the hardest to see. Immediately off the ramp, Horgmo inverts his body through a spin in pictures 1 to 4. In picture 4, he is fully upright and fully facing forward, proof that he nailed his first cork. In picture 5 he adds a grab and whips into cork 2 by picture 6. At picture 9, Horgmo is once again fully upright and fully facing forward. He seems to be headed for a perfect landing. But he still has to throw one more cork for the triple! 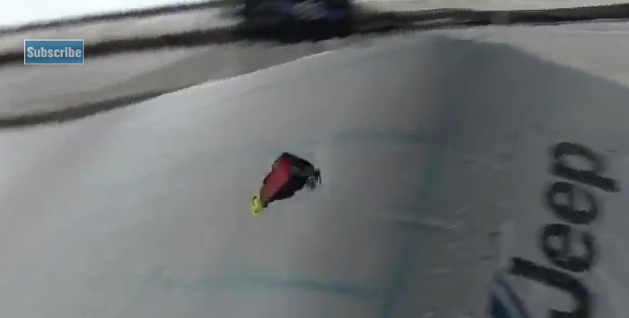 For the third time since launching off the ramp, Horgmo is fully upright, facing forward, ready for the perfect landing. And the celebration and gold medal at the bottom of the ramp. 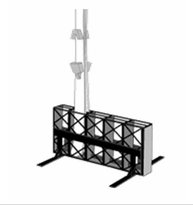 We recently got a big order from a ski resort out west for a bunch of our Ski Racks. This got us thinking why every ski resort, ski hotel, and ski inn should have our ski racks in their rooms. Functionality: when guests come to a ski resort, they bring skis! Shocking, I know, but all those guests need a place to store their skis. 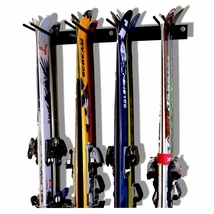 What better way to give your guests a great way to store their skis than to provide each room with a ski rack! Protect Your Assets: when skiers get home from a long day on the slopes, they're tired. They get in their rooms and are inclined to toss their skis in the first place they can find. This means the skis could end up on the bed, on a dresser, in the bathroom, anywhere really. For resort owners and innkeepers, your rooms are your assets. Protect those assets from sharp skis that have a tendency to mark/ding/mess up dressers and bedspreads and everything else by providing each room with a ski rack! You will thank us later. Make an Impression: as a resort or ski inn owner, you want to make a good impression on your guests. Making your guests happy makes a good impression on them. Make your guests happy by putting ski racks in their rooms. Skiers will love you and will remember you when booking their trip the next year! Keep Your Rooms Clean: after a day of skiing, skis are usually covered in ice and snow, maybe some mud or dirt mixed in, it happens. When those skis come inside your rooms, the snow and ice melts and tends to get all over the place. Keep that snow and ice off your entire room - put ski racks in your rooms. This will keep your rooms cleaner and the ski residue limited to a certain area. Control where that area is! Add ski racks to your rooms. Friday's most anticipated action was the men's snowboard big air final, which turned into a battle to see who could pull off the best triple cork. With time running out in the 18 minute final, Torstein Horgmo nailed a switch backside triple cork 1440 for a perfect score that nabbed him gold. For most of the final, Horgmo didn't look likely to be standing at the top of the podium. 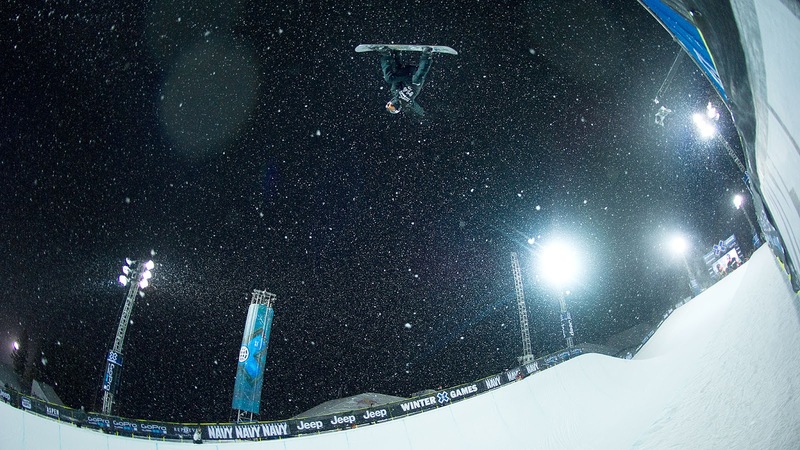 Mark McMorris, gold medalist from last year, and Stale Sandbech were landing the most impressive tricks. 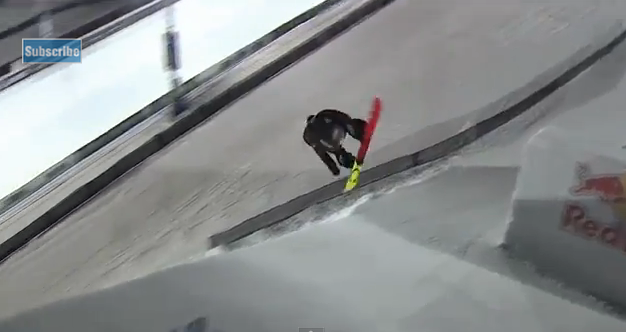 That was, until Horgmo landed his huge trick, the switch backside triple cork 1440. 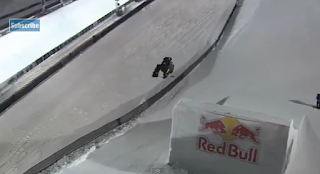 No one had ever landed this trick in competition, and it paid off for Horgmo. 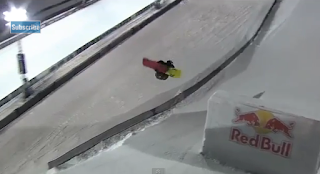 Still, McMorris fought back, and nearly matched Horgmo's perfect score. McMorris boosted a cab triple underflip 1440, a trick he had never tried before, that earned him a 48. 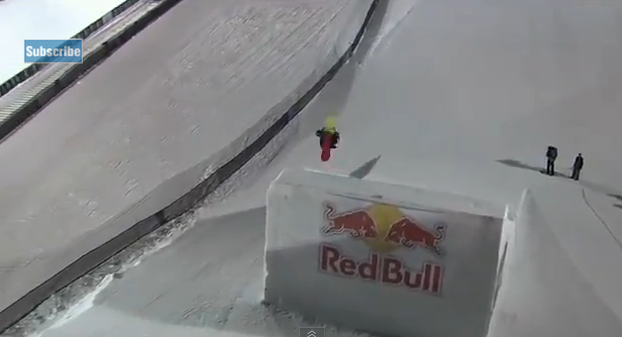 Close, but not quite perfect like Horgmo's trick. 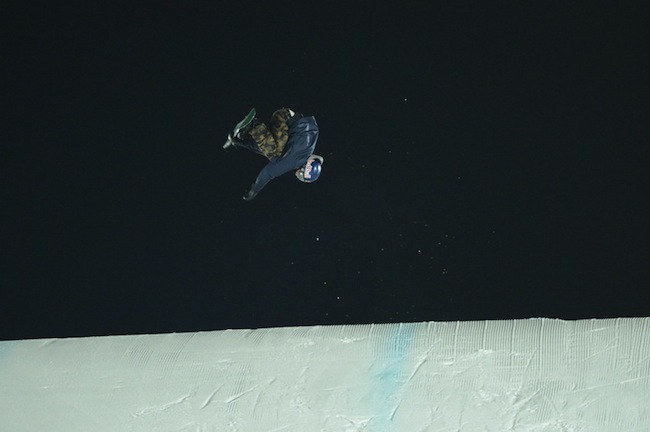 McMorris settled for the silver and Sandbech for the bronze. Only 8 of 16 riders could advance on Friday in the men's ski slopestyle, and James Woods, from Britain stepped up when needed to make sure he was one of them. Woods followed up a crash on his first run with a second run of 92.66 that earned him the highest score of the elimination round. 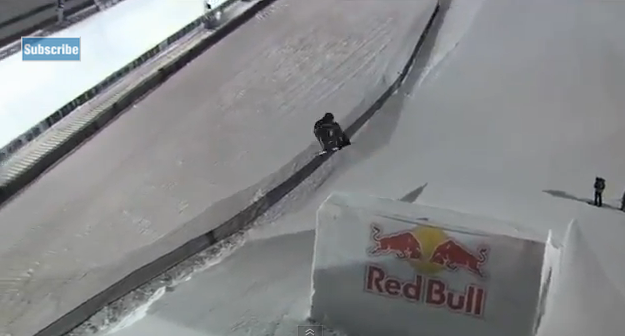 Woods blamed himself for his crash on the first run but knew that he could "throw down a good run." And he did. Defending champ Tom Wallisch wasn't so lucky. 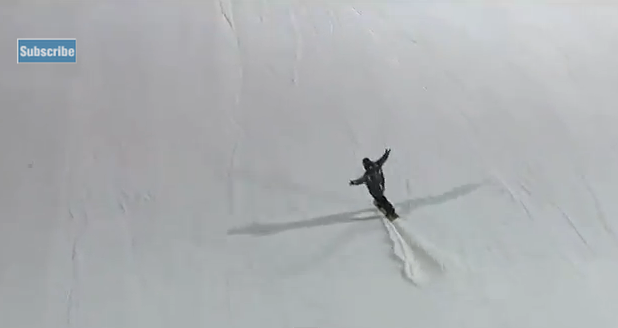 Wallisch also crashed on his first run and couldn't quite put it all together to advance. 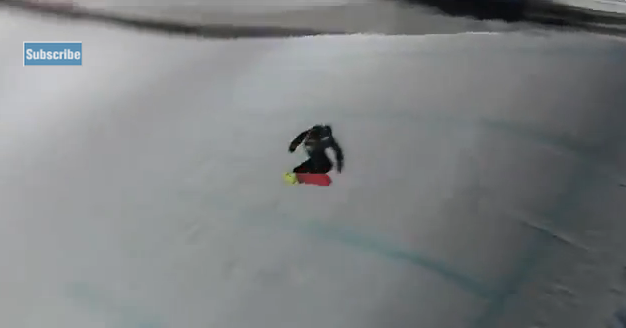 His second run scored 80.66, good for 9th place, on the outside looking in at the 8 skiers who advanced. It was a close call for the judges, who determined that Wallisch's second run was more difficult than that of 8th place finisher Alex Schlopy, but a slight hand drag on one of the jumps cost him the spot in the finals. The judges voted 3-2 that Schlopy's run deserved a higher score than Wallisch's; sometimes that's the difference between moving on and going home. 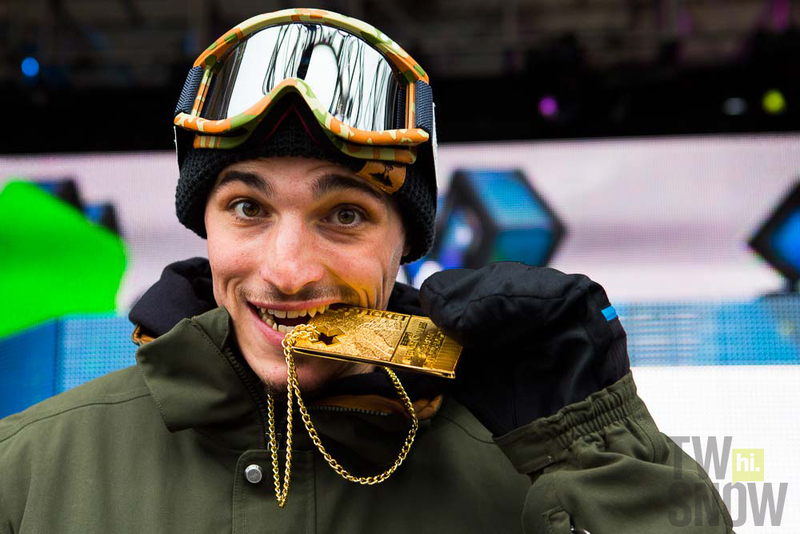 French-Canadian snowboarder Louif Paradis continued his string of impressive performances this Winter X-Games by taking home gold in the snowboard street, to add to his collection that also includes gold in real snow from Thursday. Paradis survived two fifteen minute jam session heats that narrowed the field down from 10 riders to 6, then stepped up his aerial attack in the finals to clinch the gold. 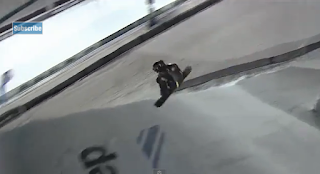 He landed a huge front boardslide to back lipslide that the judges awarded 42, the highest score of the final. 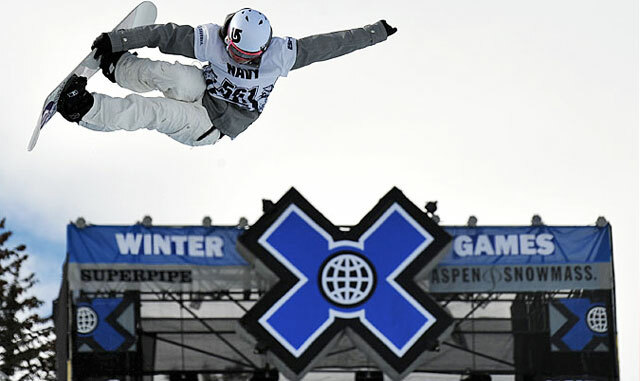 Combined with his other run, Louif scored 75 points and bested second-place finisher Dylan Alito, of Colorado, who scored 62 points. The final was wide open after defending gold medalist Forest Bailey failed to move on from the prelims, and Louif took advantage. 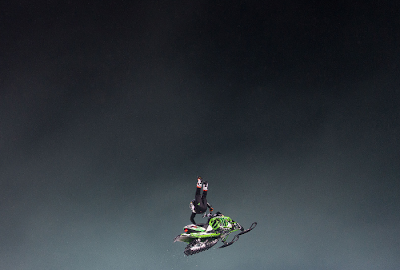 Levi LaVallee snatched the first gold medal of the Winter X-Games 2013 by winning the Snowmobile Freestyle event. LaVellee avoided the brutal crashes that took out some of his toughest rivals to grab gold. His score of 89 beat out Joe Parsons, who scored 88.66, and Justin Hoyer, who managed an 84. The finals started out with a bang when Caleb Moore, last year’s bronze medalist, under rotated an indy air backflip and as a result, his snowmobile landed on top of him. Moore was motionless for a few minutes before he came to. 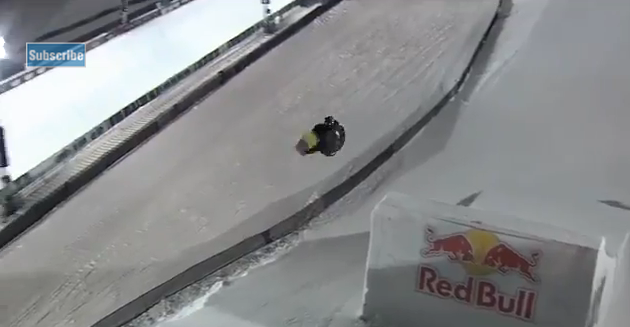 LaVallee seized the opening in the finals created by the crashes and mechanical failures to launch solid combinations, including a huge kiss-of-death flip, and grab winter-X gold. 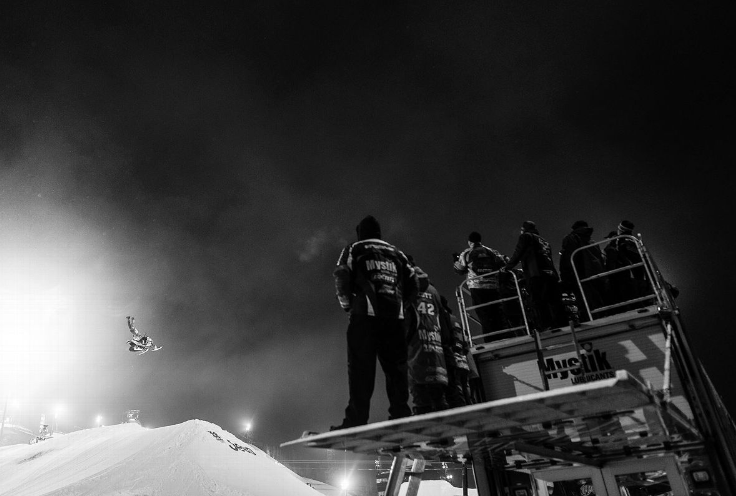 He will also compete this weekend in GoPro Best Trick Freestyle, SnoCross, and Speed & Style. Shaun White faces an uphill battle to claim his 9th X games superpipe gold medal after qualifying for the finals second behind swiss boarder Iouri Podladtchikov, or I-Pod. I-Pod’s first place qualification on Thursday means that he gets to ride last in the finals, a coveted spot that sets up an opportunity to dethrone the Flying Tomato. 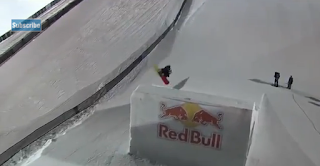 White qualified second despite a huge run that included a 19-plus foot backside air that was almost 3 feet higher than any other boarders’ tricks. 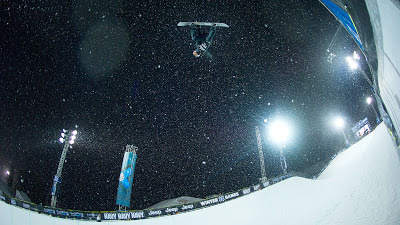 He also stomped out frontside and cab double cork 1080s, but didn’t fire up any of his best tricks that landed him gold last year, choosing to save them for the finals instead of engaging in a battle for first place of the prelims. I-Pod also has tricks up his sleeve. He plans to unveil a mystery trick in the finals Sunday night that he says no one has ever tried on snow before. If I-Pod does manage to dethrone White, it will be the first time anyone has beaten him in a three-year period spanning 12 contests. 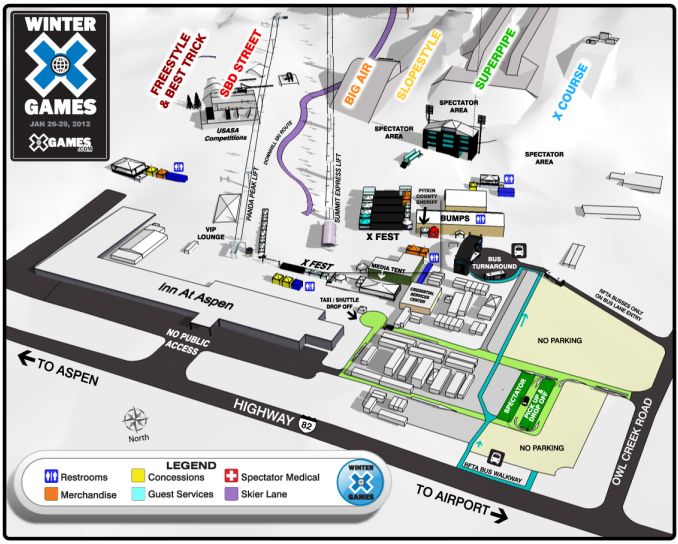 Yep, the winter x games are once again ready to kick off! 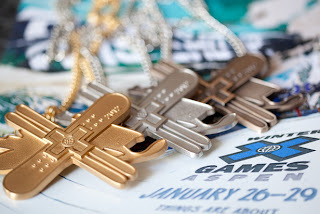 What: The 17th winter x games. Wow 17! I bet half the people reading this can't even remember winter-x 1! When: The winter action kicks off this Thursday, the 24th, and skiing super pipe leads the way as the first event. 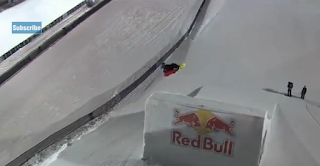 The competition ends Sunday evening with the snowboard superpipe men's final. Gotta end with the crowd favorite. Where: Aspen, Colorado hosts - Buttermilk Mountain. Aspen has hosted all the x games since x games 5 was in Mount Snow, Vermont. 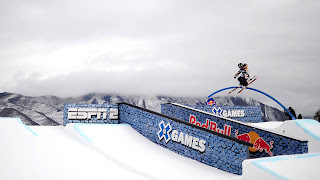 The only other sites to host a winter x games are Crested Butte, Colorado and Big Bear Lake, California. 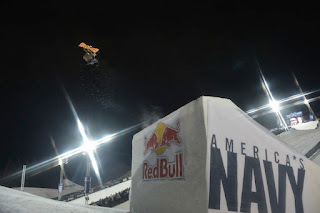 Men's Skiing SuperPipe, 10:30 a.m.
Men's Snowboard Slopestyle, 1 p.m.
Men's Snowboard SuperPipe, 7 p.m.
Snowmobile Freestyle Final, 7:30 p.m.
Men's Skiing Slopestyle, 1 p.m.
Snowboard Street, Round One and Final, 1:30 p.m.
Women's Skiing Superpipe Final, 6:30 p.m.
Snowboard Big Air, Round One and Final, 8:30 p.m.
Men's Skiing SuperPipe Final, 8:45 p.m.
Men's Snowboard Slopestyle Final, 12 p.m.
Women's Snowboard Slopestyle Final, 1:30 p.m.
Snowmobile Speed and Style Final, 2:45 p.m. 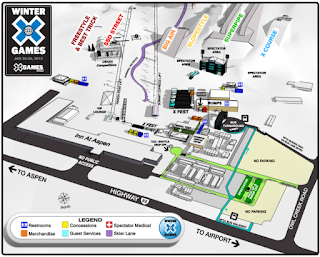 Skiing Big Air, Round One and Final, 7 p.m.
Women's Snowboard SuperPipe Final, 7:15 p.m.
Men's Skiing Slopestyle Final, 12 p.m.
Snowmobile SnoCross Adaptive Final, 1:15 p.m.
Women's Skiing Slopestyle Final, 1:30 p.m.
Snowmobile SnoCross Round One, LCQ and Final, 2 p.m.
Snowmobile Best Track Final, 7 p.m.
Men's Snowboard SuperPipe Final, 7:45 p.m.
You can always count on the winter x games for some unbelievable moments that I think are really better than the summer x games moments. To me, you can't beat watching those guys and gals blast off from huge ramps, get huge airs, and land absurd tricks. I'd have to say one of the biggest questions heading into winter-x is whether Shaun White can still dominate after cutting his hair? 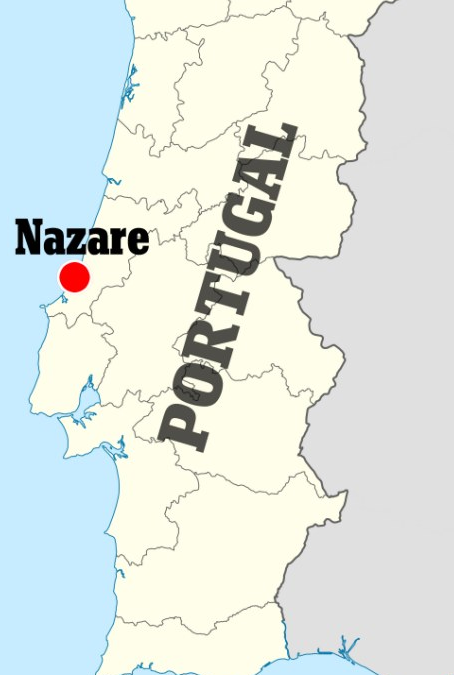 Ever heard the story of Samson and Delilah? Haha. 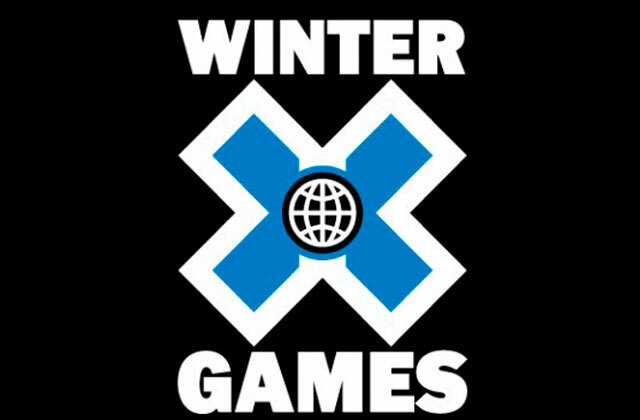 Tweet us with your favorite winter x games moments - no doubt we will be following closely. For those of you that don't know, I am a college student at a university in Pennsylvania hopefully graduating this spring. These have been the best four years of my life filled with friends and fun memories. The only thing that gets slightly annoying is the hike I have to make to classes from my apartment, especially now that I live off campus. Some colleges and universities are located in the city, but most schools are located in and around towns which makes it convenient for most students to live within a 15 to 20 minute walk to campus. However if you're like me, waking up and getting to those 8am classes on time can be the hardest part of your day. 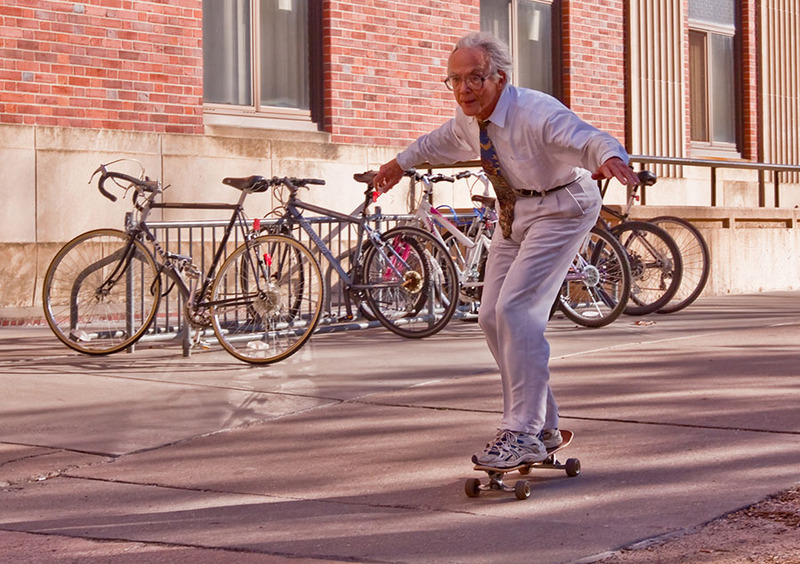 Which brings me to some of the best advice I've received as a college student: invest in a bike or a skateboard. Cuts down on travel time - if you're running late, need that extra five minutes of sleep, or have a class on the opposite side of campus from the other, a bike or skateboard is the right answer. Every building has a bike rack located in the front or back so students don't have to worry about where to leave your bike, just make sure to bring your lock! Professors don't care if you bring your skateboard to class. Some backpacks allow you to hook your skateboard to your backpack. You don't have to worry about paying for gas or parking. It's great exercise! Walking in general is exercise but riding a bike or skateboard is more fun! 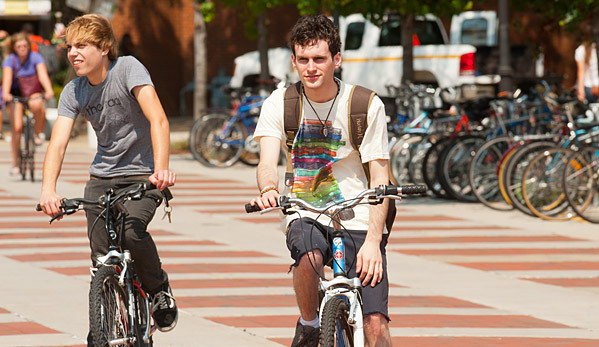 Both forms of transportation are great ways to get around campus. Deciding which is better really depends on the person's preference. Which do you prefer? Once you get your skateboard or bike make sure you have a rack to store it in your dorm room or apartment. 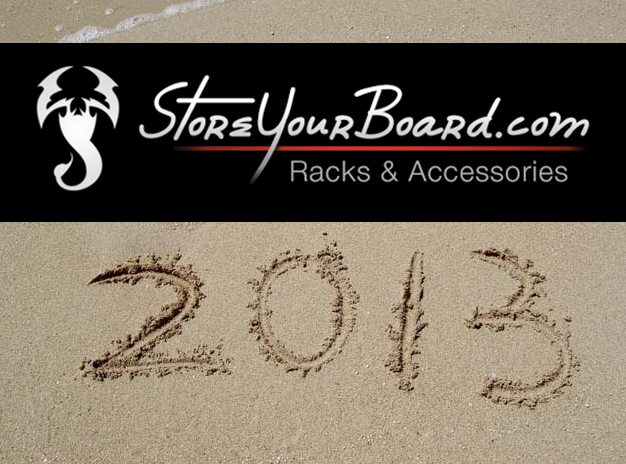 Check out StoreYourBoard's large variety of skateboard racks and bike racks. How awesome is this? 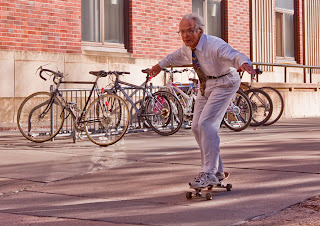 A professor from UNL skateboards to his classes everyday! Good luck to all the students out there starting their spring semester! One of the most popular brands available for snowboarding is Burton Snowboards. Not only is their gear awesome, they have a team of all-star snowboarders including Shaun White, Hannah Teter, and John Jackson—just to name a few. But how did Jake Burton Carpenter take a small idea and turn it into the world’s first (and soon to be one of the best) snowboard manufacturing company? It all began in 1977, when active skier Burton became enthralled with Sherman Poppen’s invention the snurfer. 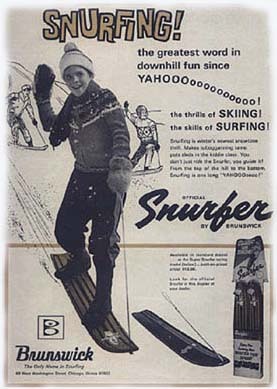 The snurfer consists of the binding together of two skis with a rope attached to the nose for the rider to grasp. After moving to Vermont, Jake Burton Carpenter tried manufacturing his own version of the snurfer as a way to make extra money. Using ideas from Dimitrje Milovich (who used trays to surf down snowbanks), Burton created a board made from laminated hardwood with bindings to give the rider more control. He went on to win a snurfing competition with his prototype, amazing the snurfing community. Soon after, Burton and a few friends began remodeling and reshaping boards to match his prototype. In 1978, Burton started creating models with aluminum fins so riders can ride in any snow condition, whether it is fresh powder, slush, or packing snow. 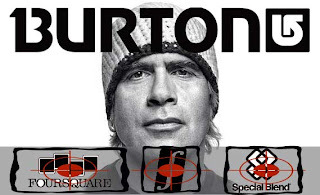 The following year Burton started a trend by putting graphics on their boards with labels such as “Burton Boards.” With the “snow surfing” industry rapidly increasing in popularity, Burton and his company made a name for themselves when they competed in the first National Snowboarding Championship—the U.S. Open—and won by riding a Burton snowboard in 1982. Not only were they winning competitions, Burton’s production expanded to Japan that same year. Then, Burton created a board that got rid of the rope attachment and added bindings with a heel strap for riders to wear the Burton Competition Shoes, the company’s first boot, which helped riders to trek up the mountain. 1985 was a big year for the company as well when Burton crafted snowboards with a foam middle enclosed in bi-directional fiberglass and fully wrapped edges. 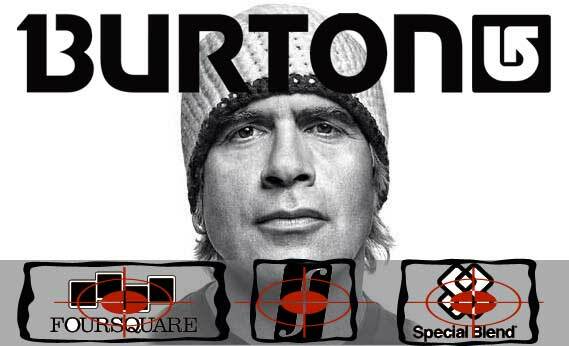 With Europe recognizing the quality of a Burton snowboard, Burton opened a site in Innsbruck, Austria. In the years to follow, Burton will create snowboards for all different types of riding to provide rider’s with a smooth ride and big air off jumps. With boards ranging from high-speed stability, to a board that allows a rider to feel like they’re floating, to a excellent blend of both, there is no arguing that Burton Snowboards is one of, if not the best, snowboard brand out there. What’s your favorite Burton snowboard? John John in huge Fiji swell! A big development happened this week in the surf industry when Hurley announced that it had signed Hawaiian surf phenom John John Florence. The news is huge because John John had been signed and riding with O'Neill since the age of 6! While the terms of the deal are not public, reports suggest John John is set to make around around $4 million a year, putting him at the top of the surfing sponsorship food chain. 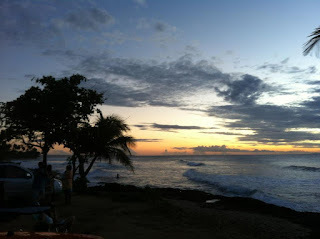 John John began surfing when he was 3 and started competing at age 7. 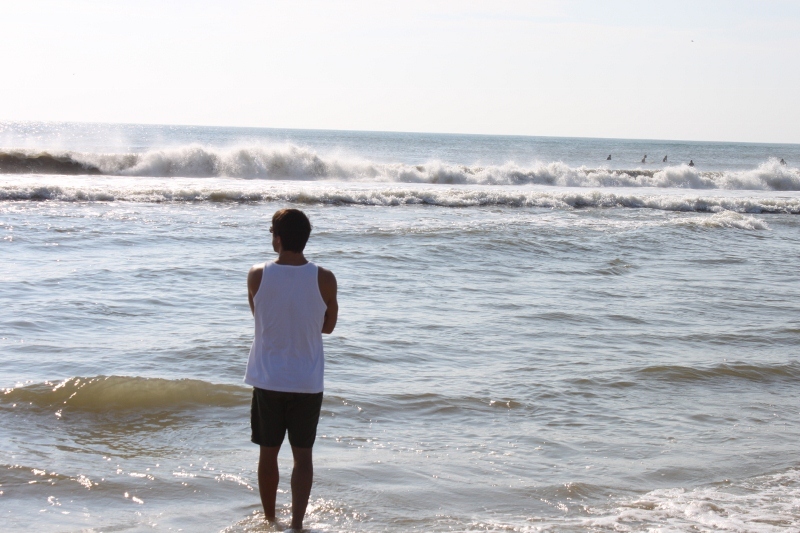 John John is now 20 and already has accomplished some amazing things in both competitive and free-surfing. As a ROOKIE on the WCT, he finished fourth - along the way beating Parko to win the Billabong Pipe Pro and become the first Hawaiian since Andy Irons to win a WCT event. John John also had wins at the Da Hui Backdoor Shootout and the Volcom Pipe Pro, both held at his childhood stomping grounds, the North Shore. No one doubts that John John has an incredible future ahead of him in surfing. Check out his video below. As for John John's switch to Hurley, I can tell ya that the Hurley people are stoked. Bob Hurley, the namesake of the company, said "John John has that special talent that only comes around every few decades or so. It's a magic that will transcend well beyond our world and will make us all strive to be better. Needless to say, I'm humbled, honored and so looking forward to supporting John John as he revolutionizes surfing over and over again." Very powerful words. 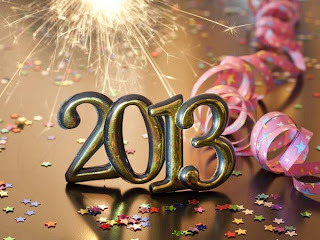 2013 is here and I am looking forward to a Great New Year. I hope everyone had an enjoyable holiday season (not too much stress) and is ready for 2013. Building on Colleen's recent New Year's Resolution blog post, I thought I would share a few of mine. I will tell you I am very goal driven and I always find making goals & resolutions helps me attain what I are driving for, so if you have never done it before I would encourage you to make a couple goals for 2013. 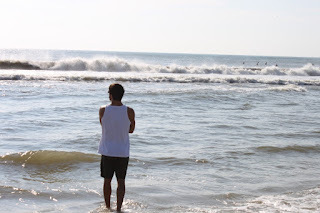 30 Days Wakeboarding - Sure running a business takes a lot of time and can get stressful but I know it is important to focus on the things I really enjoy as well. I hope to get out on the water a lot this year. Living in Chralottesville VA the boating season is pretty long, nothing like the spolied riders in FL, TX, or Sounthern CA have but I think I can get in 30 days. Luckily StoreYourBoard will be out on our new company boat, more to come on that. All I can say is I am very excited! Surf Trip - Andrew you hear me? Andrew our resident surf bum made it out to Puerto Rico last year. I am looking to step up my game this year and get somewhere with some nice waves. Improve Customer Service - Customers are what makes our business work so I need to make sure we are in tune with their needs. Ski Deep Powder - Enough said huh? I am looking to head out west and time up a good storm or two to really get the deep stuff. Last year I was fortunate to hit up Snowbird for a few dumps and looking to get some more powder this year! 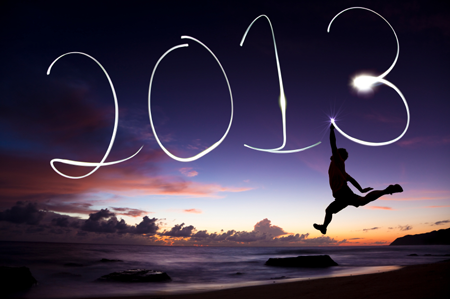 What is your New Year's Resolution and Goals for 2013? Leave a Comment! 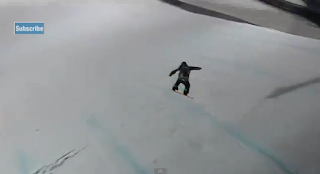 Second, I want to go snowboarding! For the past almost two seasons, I haven’t been able to go snowboarding because of one reason or another. But this year I am making it a goal to get to the mountain before the season’s over. Third, after I complete the snowboarding goal, I am going to learn to ski! I know a few people who ski and really enjoy it, so why not broaden my horizons. Finally, I want to improve my wakingboarding skills! For those of you that don’t know, I finally learned to wakeboard this past summer! It was one of my favorite things I accomplished all summer, so this summer I am going to increase how long I ride and hopefully cross over the wake! Who knows? Maybe I’ll let my hair down and try some tricks! 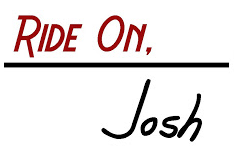 Over the next few weeks, check back for further New Year’s Resolutions posts from SYB’s very own Josh and Andrew!